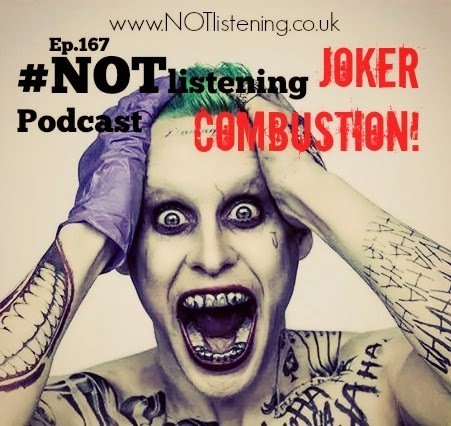 Ep.167 - Joker Combustion. Talking Joker Trivia, Spontaneous Combustion and Robot Cops! Now that's exactly what you need for your day. Another #NOTlistening Podcast, Another Randomness of Nonsense. In this Episode we continue the new format of quicker,slicker segments that revolve around all things from Movies to Science to Random stories. - Will has some #NOTinteresting trivia on some Movie's much to Adam's delight.